Replacement windows. Replacing windows in your home can give you a high return. The market for replacement windows has increased due to recent economic conditions and is expected to continually increase over the next couple of years. Vinyl siding. Due to the fact that there is less maintenance that needs to be done with vinyl siding, this will always give you a high return on your investment. Our lives are already busy, so homeowners want siding that doesn’t require maintenance year after year. Entry doors. If you are looking to replace your home’s entry doors, consider fiberglass entry doors. Although steel is still an excellent choice of material for entry doors, fiberglass is rising quickly as the go-to material. Insulated siding. Purchasing higher-quality insulated siding for your home pays off. Siding will eventually need to be replaced, so invest in a type of siding that lasts longer. 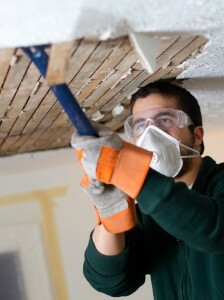 Are you ready to start tackling your Raleigh-Durham home remodeling project? Reach out to the experts at Gerald Jones Company to learn more about choosing materials with a high return on investment. Contact us today at (919) 286-1700 with any questions you may have or to speak to a member of our team. We look forward to helping you get the highest return on investment possible with your home remodel! This entry was written by geraldjones, posted on April 17, 2014 at 2:47 pm, filed under Uncategorized. Bookmark the permalink. Follow any comments here with the RSS feed for this post. Both comments and trackbacks are currently closed.